IPP 5MW project in Ervadão, Boavista island. Expected date of commissioning: March 2021. The Republic of Cabo Verde, herein represented by the Direção Nacional de Indústria, Comércio e Energia (DNICE) launched in December 2018 an International Open Competitive Bidding Process mobilizing private sector developers, consortiums or joint ventures (each a “Developer”) to design, engineer, construct, commission, finance, own, operate and maintain a 5 MW Solar Photovoltaic Power Plant as IPP (the “Project”) under a BOO (Build, Own, Operate) scheme in Ervadão,municipality of Boavista, Boavista Island through a transparent competitive bidding process. Solar Conditions: As per Renewable Energy Master Plan the global annual radiation at Ervadão is expected to be 2246 kWh/m2 with more than 4000 h of direct radiation. Monthly global radiation varies between 160-170 kWh/m2 in the months of August-February and 190-215 kWh/m2 in the months of March-July and the area is situated outside zones of major cloud development. No measurement of solar irradiation is available. 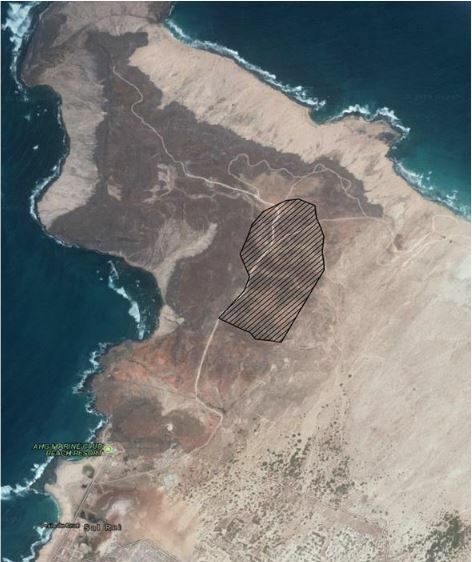 The Project will be implemented through the award of an implementation agreement between the Government of Cabo Verde, and a company to be established under the Laws of Cabo Verde (the “Project Company”). A 25-year power-purchase agreement (the “PPA”) will be established between the Project Company and the Concessionaire of Transmission and Distribution Grid being the sole Off-taker of the electrical energy generated and delivered by the Project.